In the nearly two years since John Cook and his colleagues published their ’97 percent’ paper claiming a scientific consensus on climate change, the term ’97 percent’ has become something of a mantra for global warming advocates. President Obama tweeted “Ninety-seven percent of scientists agree: #climate change is real, man-made and dangerous.” The Guardian runs a regular column headed “Climate Consensus – the 97%” (regular contributors include co-authors of the original paper). Richard Tol, Professor of Economics at the University of Sussex and the Professor of the Economics of Climate Change at the Vrije Universiteit, Amsterdam, says no. 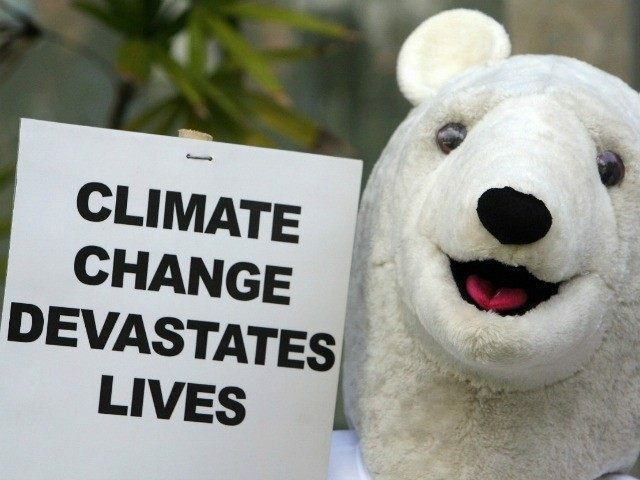 He has penned a blog, since published in edited form by The Australian, thoroughly debunking Cook’s paper, its methodology, its results, and the way it has been used by climate change advocates. “Climate research lost its aura of impartiality with the unauthorised release of the email archives of the Climate Research Unit of the University of East Anglia,” Tol says. “Its reputation of competence was shredded by the climate community’s celebration of the flawed works of Michael Mann. Innocence went with the allegations of sexual harassment by Rajendra Pachauri and Peter Gleick’s fake memo. Firstly, Tol points out that science doesn’t depend on consensus. A scientific truth is objective not subjective; that is, it’s true whether one person adheres to it, or everybody adheres to it. Secondly, Cook’s paper, titled Quantifying the consensus on anthropogenic global warming in the scientific literature, only claims that 97 percent of the scientific literature that takes a position on climate change (most does not) supports man-made global warming hypotheses. Yet supporters have used it to claim that 97 percent of scientists support global warming theories; they do not. That wasn’t the only sampling issue – further analysis has found that their sample was “padded with irrelevant papers,” such as an article on TV coverage of climate change which has been used as evidence to support climate change. “In fact, about three-quarters of the papers counted as endorsements had nothing to say about the subject matter,” Tol says. Despite these and other issues, the paper’s editor praised the paper for its “excellent data quality”. Refusal to hand over data for third party analysis breaches the publisher’s policy on validation and reproduction, yet an editorial board member of the journal defended Cook’s obfuscation as “exemplary scientific conduct”. The conduct of the Institute of Physics as the publishers of the report, and the University of Queensland, Cook’s employer, in protecting him has led the blogger Andrew Montford to accuse them of corruption. “As an indictment of the corruption of climate science it’s hard to beat. That the Institute of Physics and the University of Queensland would stand behind such a blatant piece of politicking and deceit is almost beyond belief. “As far as they are concerned when it comes to climate science there is no study too fraudulent, no conduct too reprehensible, no deception too blatant,” he said.